Home » State News » ODISHA BHAWAN, CHENNAI will be inagurated on 25th September 2018. ODISHA BHAWAN, CHENNAI will be inagurated on 25th September 2018. 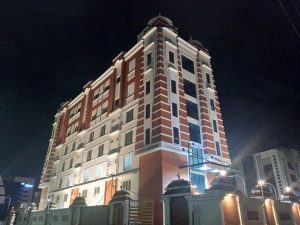 Bhubaneswar:10/9/18: ODISHA BHAWAN, CHENNAI will be inagurated by Naveen Patnaik, Hon’ble Chief Minister of Odisha in August Presence of Thiru K. Palaniswami ,Hon’ble Chief Minister of Tamilnadu on 25th September 2018.It is worthy to note that Foundation stone for odisha Bhawan was laid down by then Chief Minister of Tamilnadu Late Chief Minister Jayalalitha in Presence of odisha chief minister Naveen Pattnaik on 11 th ,May,2012. Considering the number of visitors from Odisha to Tamil Nadu for health-related needs, students and tourists, the Bhavan will of great help. Naveen thanked Jayalalithaa for giving the Odisha Government land for construction of the Bhavan. 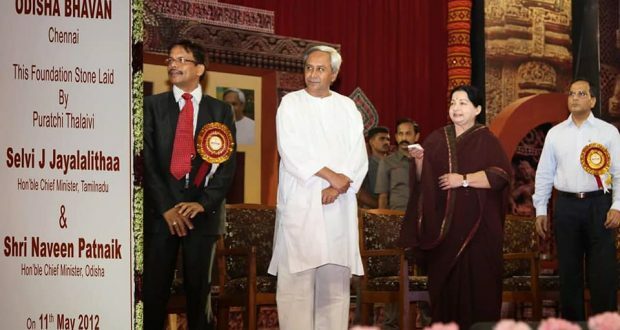 Jayalalithaa, who had attended the stone-laying function as the chief guest, felicitated two eminent Odia artists Sudarshan Patnaik and Kumkum Mohanty.